Sauna Studio in Napa County. Full Spectrum infrared therapy offers a variety of amazing health benefits, including pain reduction, weight loss, skin rejuvenation, and much more. Try a treatment today and experience full spectrum infrared sauna benefits for yourself. Our full spectrum infrared spa treatments utilize infrared light to heat your core temperature and detoxify your skin. Better than conventional sauna treatments, it is recommended highly by many doctors. Through expert recommendations by some of the top professionals in the business, continuous use of full spectrum infrared therapy is highly recommended. Many of the experts use a spa with full spectrum infrared sauna themselves. Included with every sauna treatment is sound and color therapy. Included with each sauna treatment is a light snack, an electrolyte drink, a cool aromatherapy cloth and Veriditas Hydrosol. Our exclusive, full spectrum private Sauna Suites offer a variety of customized sessions for a personal full spectrum sauna experience. 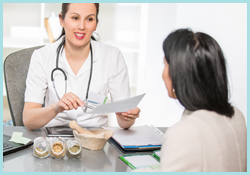 You may choose from these options anti-aging, detoxification, pain relief, weight loss, relaxation, cardio, heart health and skin health or we can customize to your own personal goal. Each session perfectly blends Near, Mid and Far wavelengths to help produce the benefit you need. 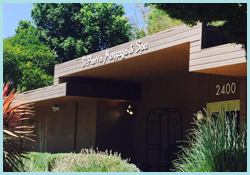 St. Pierre Massage and Spa in Napa, California has more than 10 years of experience providing exceptional health benefits. We recently introduced our new full spectrum infrared private sauna suites and our full spectrum infrared sauna spa treatments. Our full spectrum infrared therapy system is available at St. Pierre Massage and Spa. It is clean, comfortable, and used by and recommended by physicians. Using a breakthrough technology of solo-carbon heaters, the sauna produces no off-gassing and will increase your detoxification levels. Our treatments are intended to make you feel good mind, body, and soul. Our staff is courteous, friendly, and extremely knowledgeable about all our services. It is our goal that you'll instantly feel calm in our relaxing environment, and when you leave it will be with a new glow and renewed sense of relaxation.